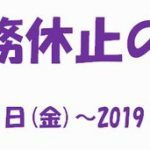 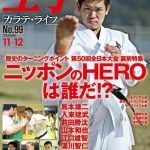 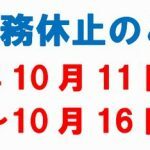 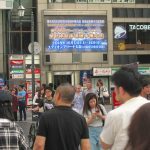 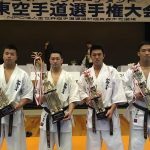 The Daniels Branch “Aka vs Shiro” Tournament was held on April 6 (Sat.) 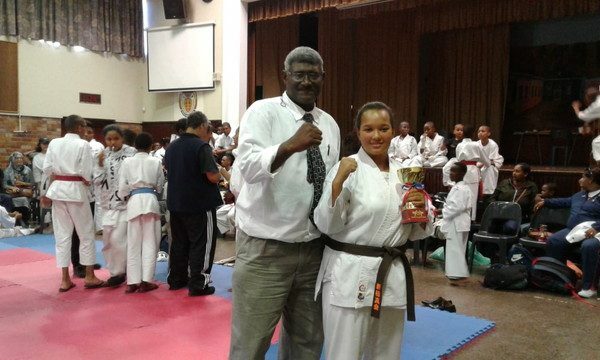 in the town of Goodwood, situated in the northern suburb of Cape Town. 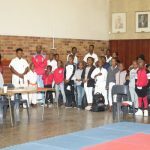 A total number of 160 participants from as far as Klerksdorp graced us with their presence. 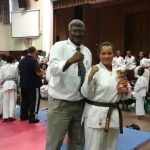 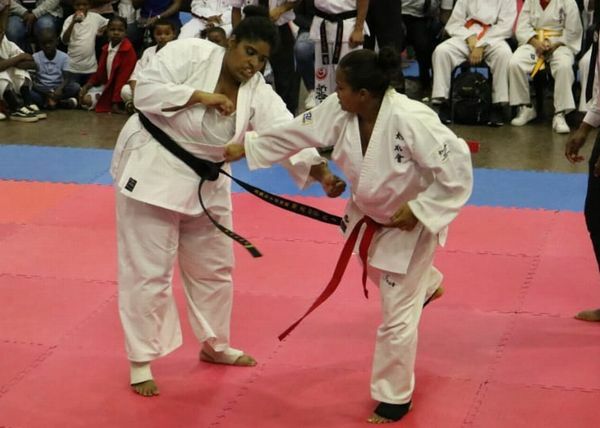 Participants came from various full contact karate styles and organizations. 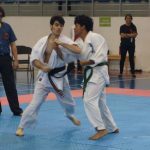 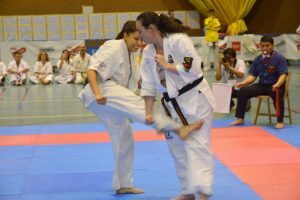 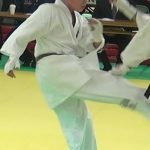 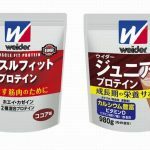 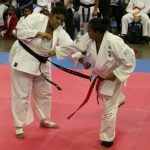 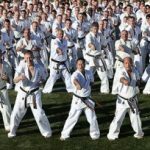 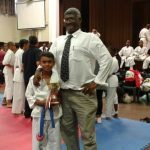 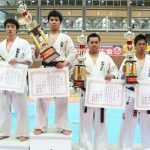 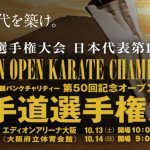 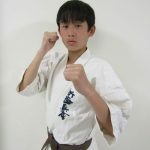 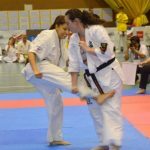 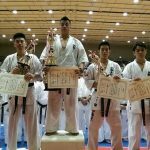 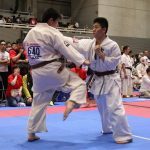 Members of IKO Nakamura, Kyokushin Union, Kyokushinkan, Kyokushinkai, Ashihara Karate, and Josuikai Karate all competed under WKO Shinkyokushinkai international fighting rules. 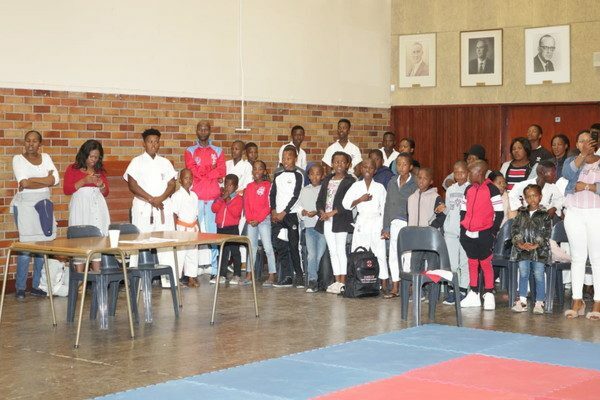 Members of the different organizations worked together well with great understanding and appreciation for being able to compete against each other. 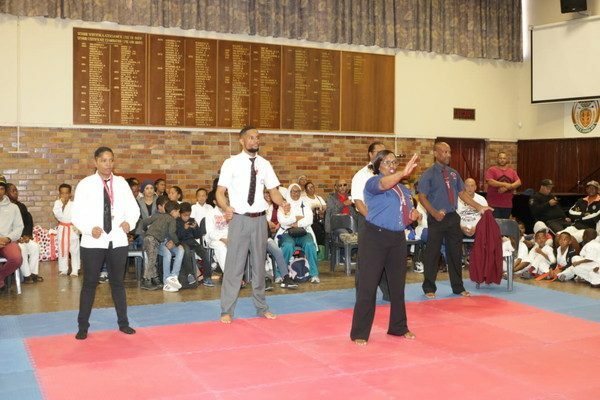 The host dojo won a number of divisions but was challenged by a strong Matlosana team who competed in every category. 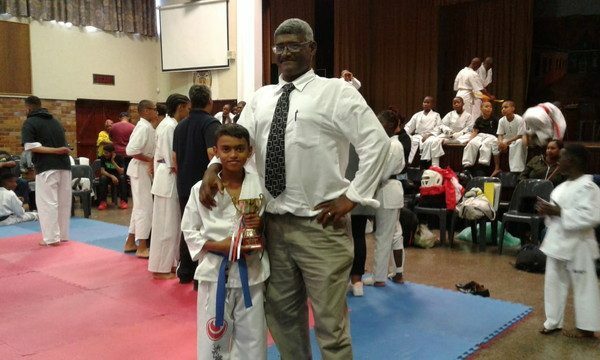 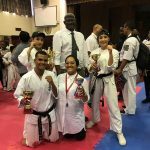 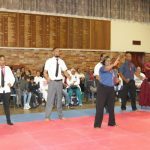 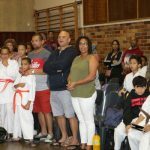 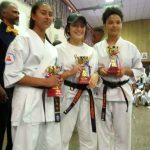 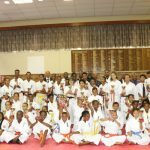 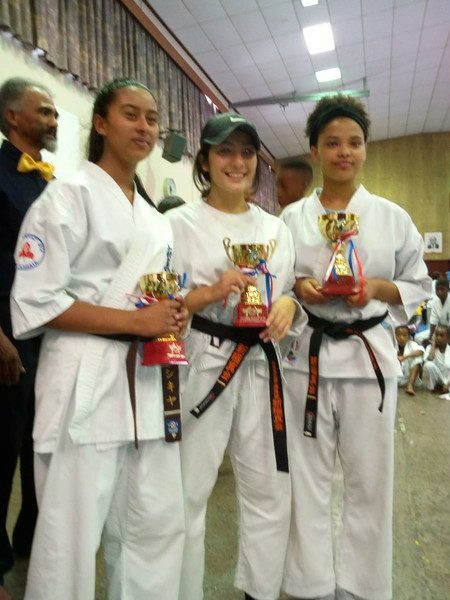 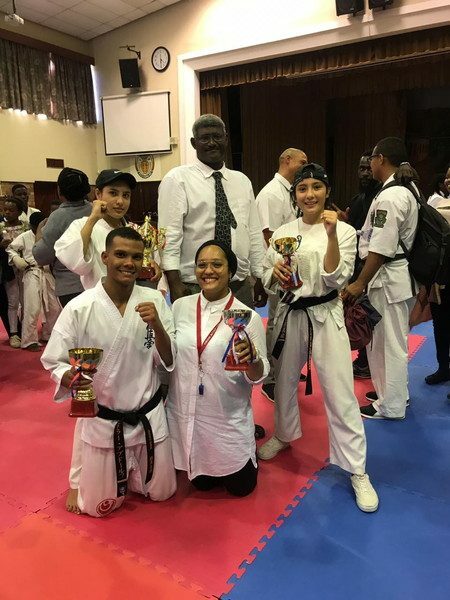 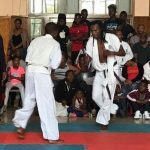 This is the 4th year running that a team from Klerksdorp made the 1,400 km journey to compete in the annual Cape Town event and once again proved very strong for many of the other styles. 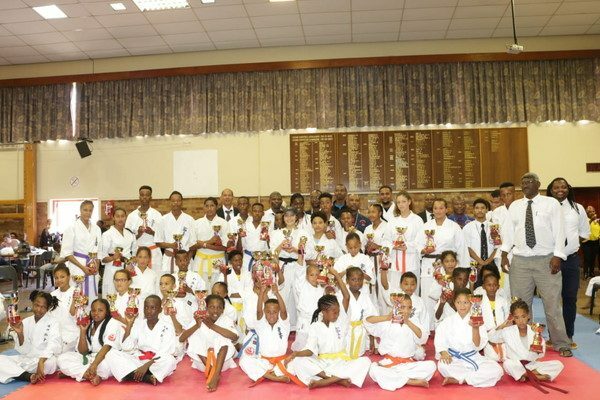 50% of the Klerksdorp team won a trophy by either winning their category or placing second or third on the podium. 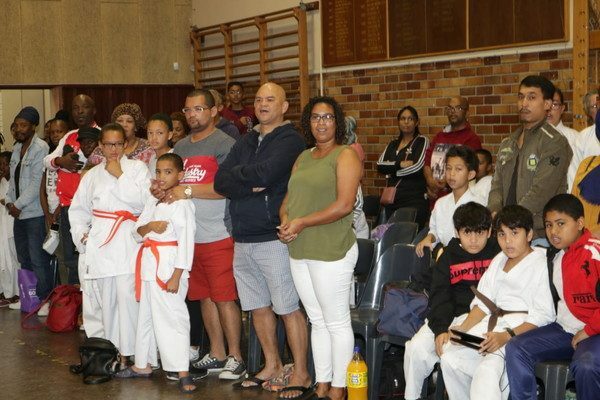 Team Thom as they are called arrived safely back home on Monday morning around 02h00.